So where was I for the last little while? Working on my first Iron Man comic! What an incredible opportunity and experience it was to be a part of this first exclusive Marvel Comic at Hong Kong Disneyland. 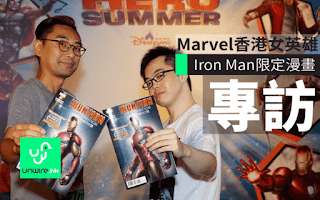 Working with both Marvel Comics and Hong Kong Disneyland was amazing. There was so much creative energy, passion and fearlessness from everyone involved! C.B. Cebulski, Mark Basso and Mark Paniccia, as well as everyone from the Hong Kong Disneyland teams, were all gracious, insightful and all around cool rocking people to me and Justice (the amazing artist). I can't thank them enough! But a special thanks you goes out to C.B. Cebulski for asking Justice and I to be a part of this wild and crazy MARVELous ride! The story is set in Hong Kong, a city of contrasts that has influenced the backdrop of many stories for good reason, with it's unique blending of the old and new, where progress is built with the foundation of the past. Besides having the story take place in Hong Kong, we were bringing in the incredible Marvel creations of HKDL. They loaded the Iron Man Experience with so much amazing things you'll be geeking out throughout your time there. Researching and figuring how to merge everything into a cohesive world was way too much fun. 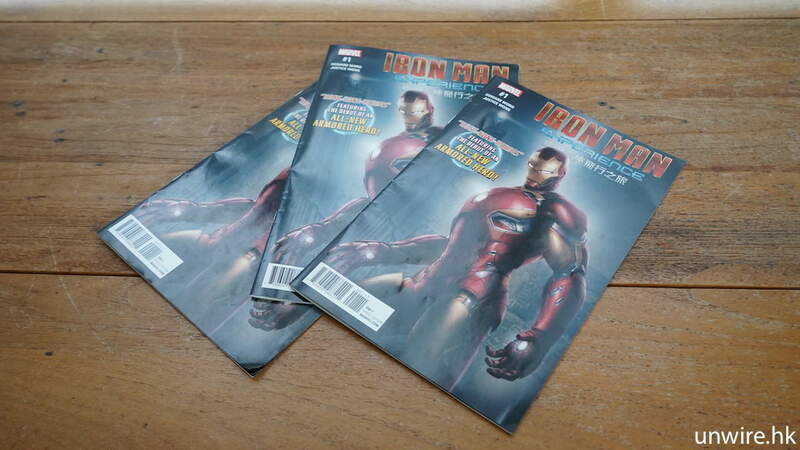 Iron Man Experience: Hong Kong Heroes #1 is exclusively available at Hong Kong Disneyland. Could it get better than this? No, right? Wrong. We were asked to create a new hero from Hong Kong! It didn't take me too long to decide it was going to be a new female hero. I wanted a strong, smart and courageous woman my daughters and other females can look up to, as well as embody the Hong Konger's fearless spirit. As I worked on her background and details of her abilities, as well as the special arm...you'll have to get a copy to find out what that is. After explaining my ideas and sharing the sources of inspiration, Justice killed it with his design! Having worked with him before he accounted for the crazy ideas I had for her. It's unfortunate, but we just couldn't fit them into this story. Like all good ideas though, we're saving them for when we get the chance to expand on her story. One of the amazing things since the debut of the comic are the female Hong Kong fans really digging what we did, and wanting to know more about this new Marvel character. Connecting to people with something you create through comics is an incredible feeling. That energy you get from that inspires you to go back to the keyboard and/or art desk to keep plugging away on the next one. I'm not going to spoil the story, but let's say you will see many of your favorite heroes doing what they do best against old devious foes, in hopes of stopping them from acquiring a world ending mystical item that was kept in a certain doctor's secret chamber. I remember local artists here asking me what I liked creating comics with all the work and sleepless nights, all the pushing and refining you put into it. I think the photo below answers all of that. I saw this young boy reading his copy of Iron Man Experience: Hong Kong Heroes repeatedly as he went on and rode the MTR from HKDL with his family. 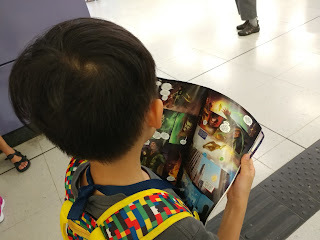 He was scrunching it up, staring at certain panels, flipping back and forth, all the while I watched his expressions change as he went through the story. For all I know, this might be his first comic, which I hope won't be his last. This to me is why we make comics. Here's an interview we did with Unwire.hk.